Bruce Banner landed with a crash on PC and it is not happy. Then he turns into the Hulk. 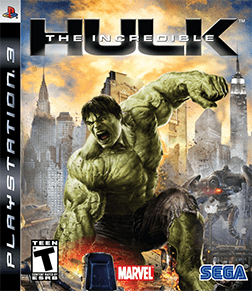 Incredible Hulk therefore, depicts the giant green pants ripstop and features a storyline that follows the feature film of the same name while providing unpublished passages, all in an environment mostly destructible for an action game with 100% guaranteed GMO brutal.